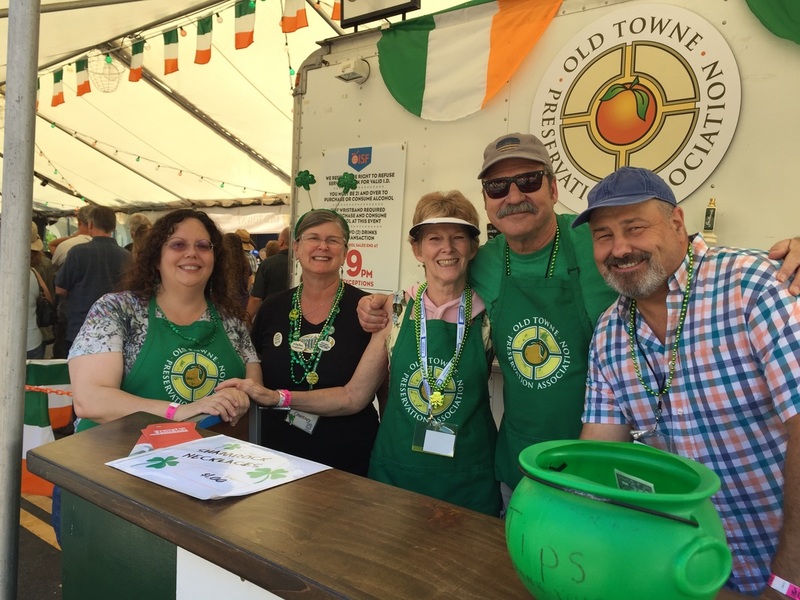 2018 Orange International Street Fair - A huge success! 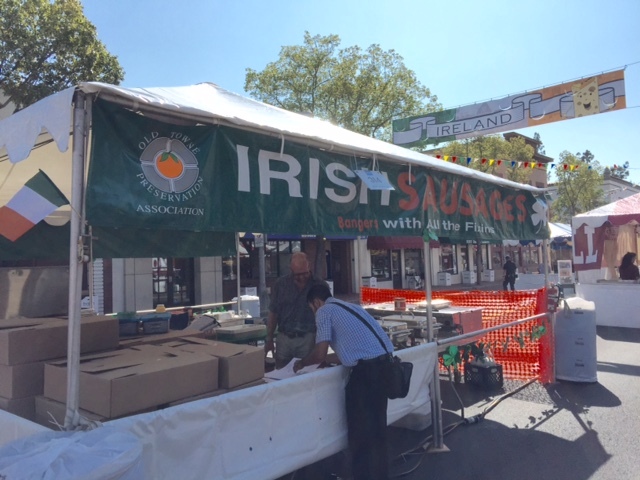 2017 Orange international street fair!! - HOT! 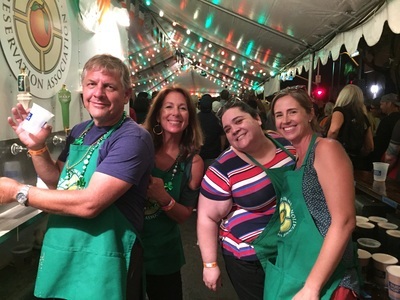 2017 Street Fair was a different one, that's for sure! Friday, Saturday, and Sunday morning were all HOT, HOT, HOT, with temperatures in the high 90s to low 100s!! 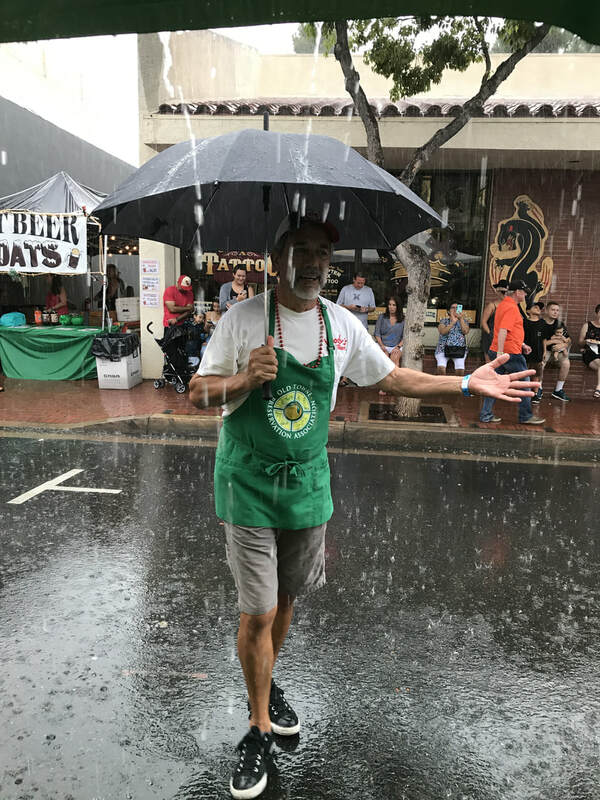 Sunday afternoon brought a welcome respite from the heat, but included thundershowers for about 20 minutes, catching most fair goers woefully under-dressed (but there were a few umbrellas out there!). But everyone seemed to recover and resume having a good time. ​Thanks again to all of our loyal customers, volunteers who staffed the booth (and a special thanks to the La Purisima kids who worked long hours with smiles on their faces). 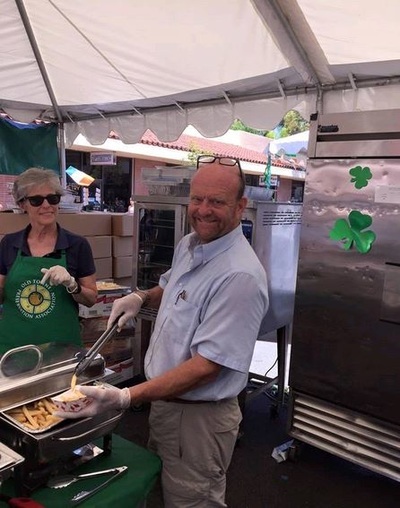 And a huge shout-out to OTPA's Joe Peters, who once again outdid himself by putting together our best booth ever, with custom lighting and strategic placement of the grill, oven, and refrigerator/freezers, such that the large appliances provided shade and the cooks weren't facing into the sun! 2016 Orange International street fair!! The 2016 Orange International Street Fair is now a fond memory! 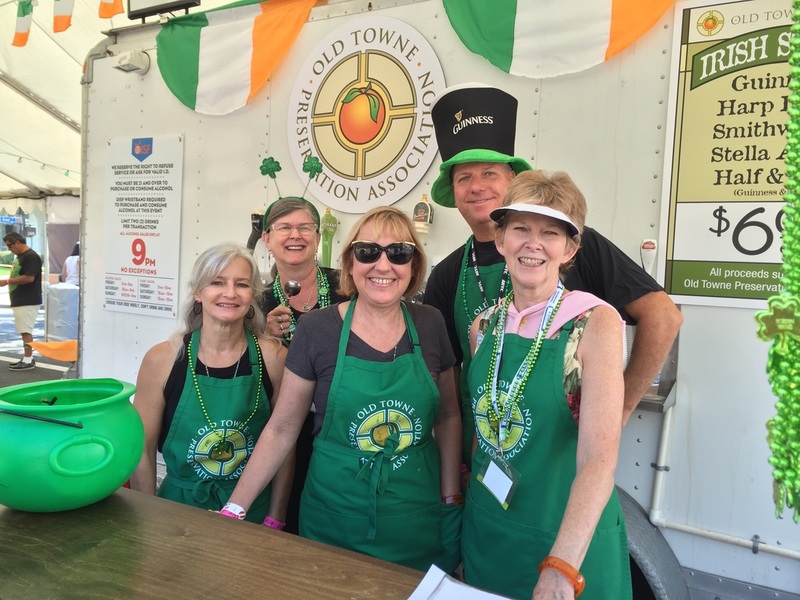 Thanks to all who participated (OTPA has the best volunteers!!!) 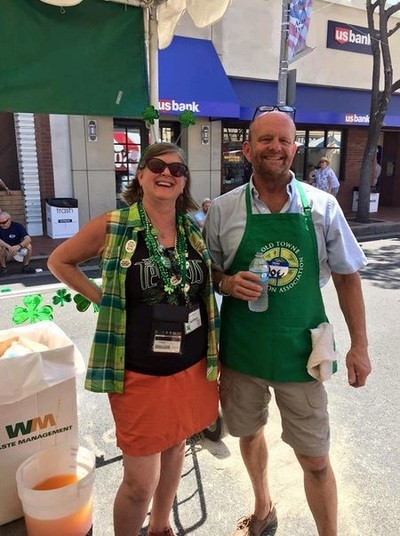 and we look forward to meeting new faces and volunteers at the 2017 Street Fair! 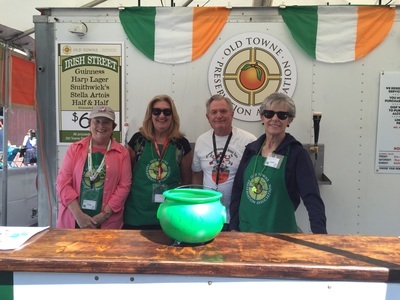 Many thanks to all who purchased beer to contribute to OTPA's ongoing work in helping to preserve Old Towne Orange. And a special thanks to Joe Peters, who successfully captain'd this year's efforts! 2015 Orange International street fair!! 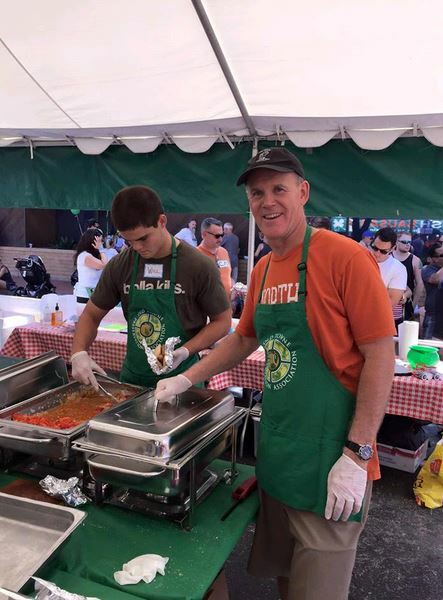 Once again, the Orange International Street Fair took place on Labor Day Weekend, 2015, for a fun filled 3-days of live music, foods from around-the-world, cold beverages, hot weather, unique products for sale, and the best people watching venue in Southern California! 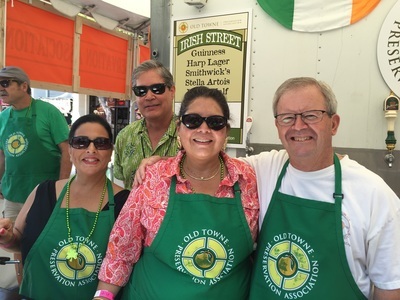 Enjoy a few photos of some of OTPA's stalwart volunteers below. And thanks to Joe Ledbetter, who masterminded the whole affair! Street fair 2015 - it's a wrap! 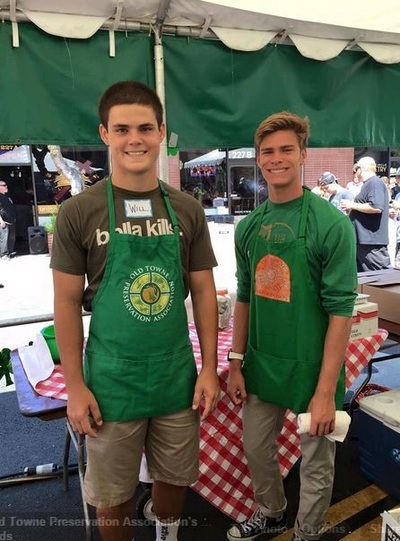 Men of Servite Will Matuzak and Arty Molina sell the bangers. 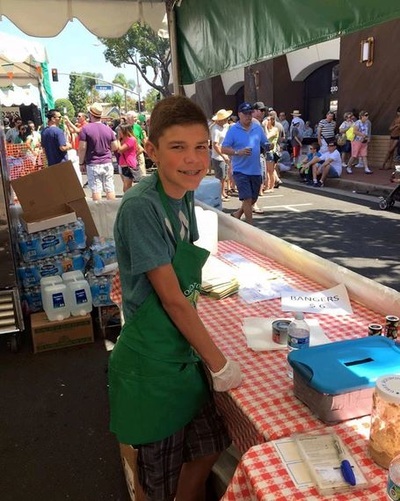 Nicholas Meneses of La Purisima was a big help! Courtney is volunteering again. And a big thanks OTPA Fund Development chair Joe Ledbetter who ran this whole operation! Setup, setup, and more setup!